The crisis rocking the All Progressives Congress (APC) over the choice of the leadership of the 9th National Assembly deepened at the weekend as some of the lawmakers threatened to dare the party in the leadership tussle. Some senators-elect of the ruling APC have also frowned at what they described as the recent utterances of the National Leader of the party, Senator Bola Tinubu, over the composition of the leadership of the National Assembly, saying such outburst should not have come from a national leader of the party. Some of the party’s senators-elect, Akelicious further learnt, met in Abuja last night to discuss the decision of the party to determine the federal legislature’s leadership. Tinubu had at the weekend in Lagos asked elected party members, not comfortable with the choice of Senator Ahmad Lawan and Hon. Femi Gbajabiamila, as Senate President and House Speaker respectively, to leave the party or be ready to abide by party decision on the matter. Reacting to Tinubu’s statement, a cross section of the senators-elect who spoke with Akelicious on condition of anonymity said such a remark was unbecoming of a national leader of a ruling party like APC. The legislators-elect said rather than threatening the elected lawmakers, the party leadership ought to have engaged them on how to evolve a vibrant leadership for the ninth National Assembly. Another senator-elect from North-central zone affirmed that the imposition of Lawan on others will not fly. “We are ready to take on the party leadership on the matter and ensure that all stakeholders are carried along,” he said. He advised the party not to make the mistake it made in the 8th Senate which produced Dr. Bukola Saraki as Senate President as against Senator Lawan, then the choice of the party. 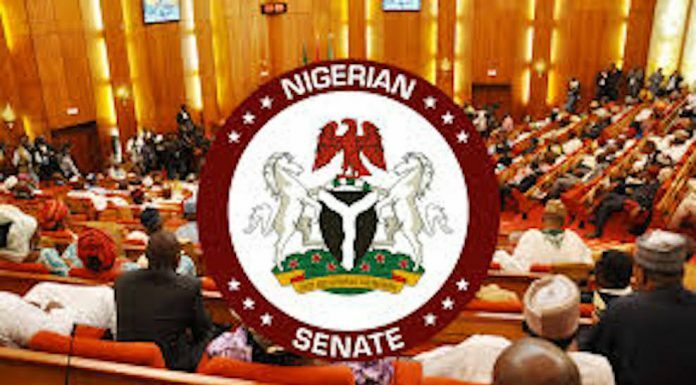 The ranking senator said senators-elect of like minds across political divides will meet in Abuja this week in the course of the orientation programme for all elected federal lawmakers. “Our colleagues have started arriving in Abuja for the orientation programme being put together by the management of National Assembly for all the 479 members-elect of the federal parliament and we’ll use the opportunity to reach out to them and take a firm decision on the kind of leadership we desire in both the Senate and the House of Representatives,” he said. This, he further said, are some of the issues that would be discussed with their colleagues from across the country, including legislators-elect from the opposition Peoples Democratic Party (PDP) and other parties who have representation in the 9th Assembly.